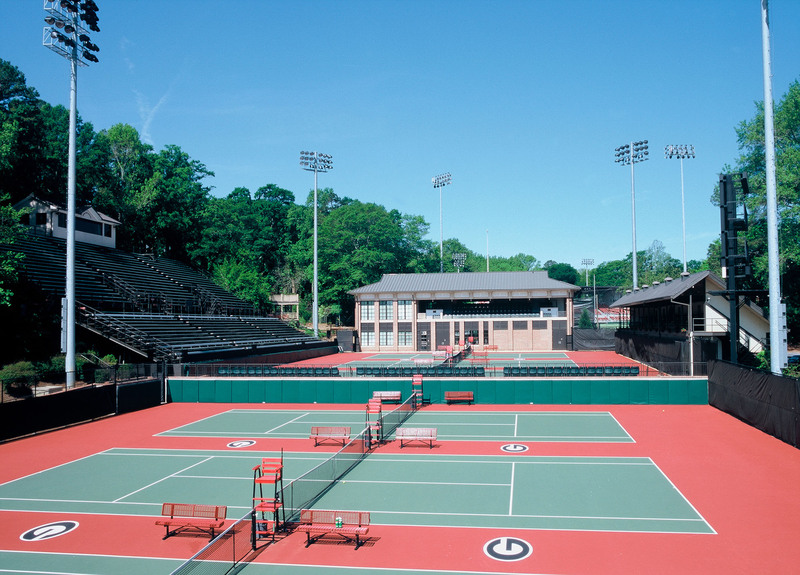 Home of The University of Georgia’s Women’s and Men’s Tennis Programs, this venue routinely hosts the NCAA Tennis National Championship Series and Super Regional, most recently for both Men’s and Women’s competition. 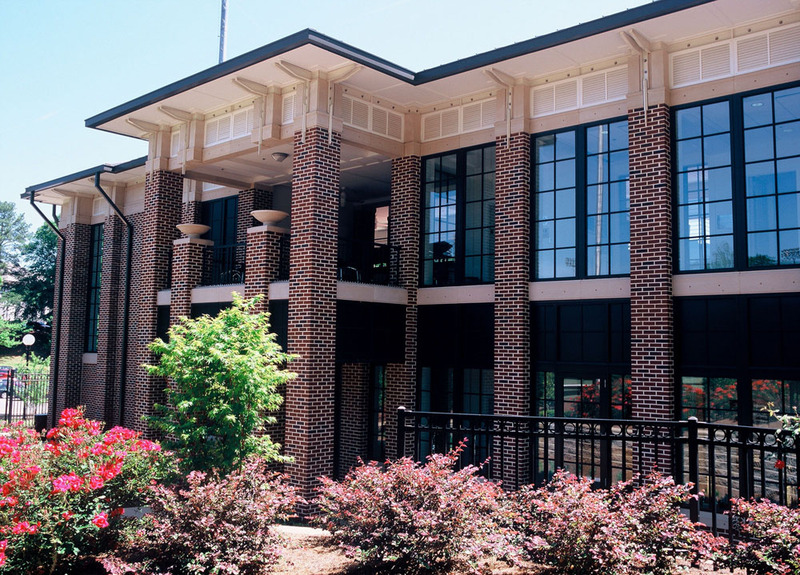 The complex is one of the largest on-campus tennis facilities in the U.S. and includes state of the art Title IX compliant facilities for both Men’s and Women’s programs. 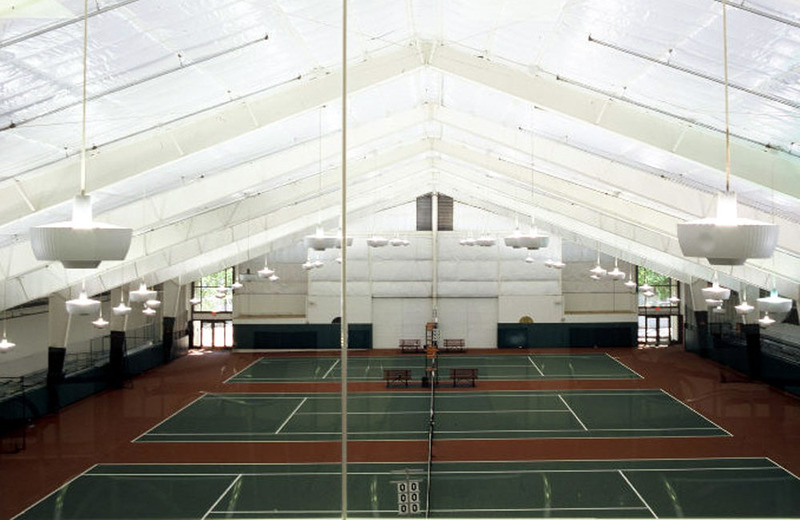 The $7.5 million complex development included the programming and design of a new Men’s clubhouse (7,268 SF) located at the west end of the site and a new Women’s clubhouse (7,563 SF) appended the existing indoor tennis building (31,605 SF) with an overlook into the courts. The buildings each housed locker rooms, lounge, “archive” type space, coaches offices, storage, and support spaces. 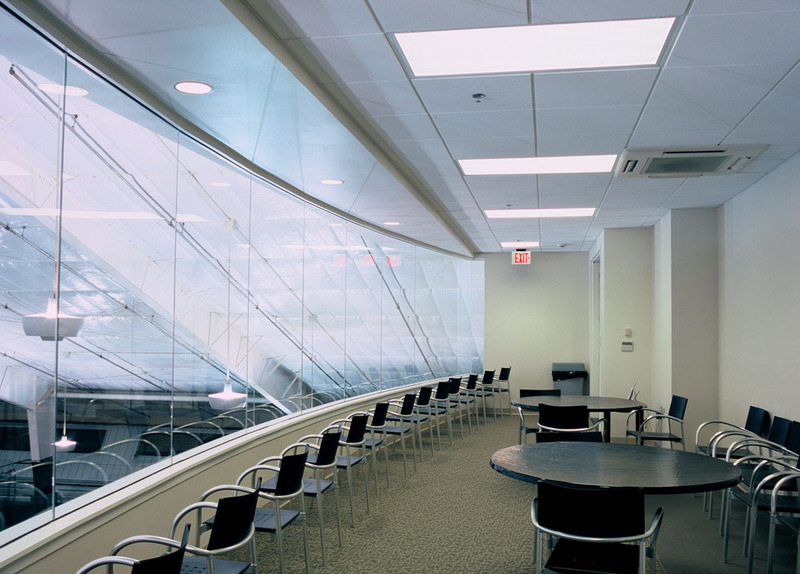 The Men’s second floor included a covered spectator seating section for VIP, that overlooked the courts. 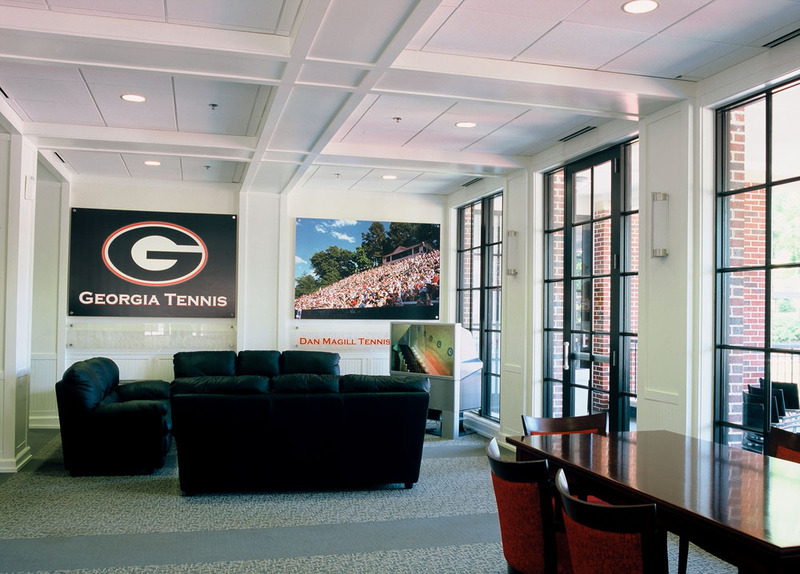 The existing indoor tennis facility was also completely renovated. 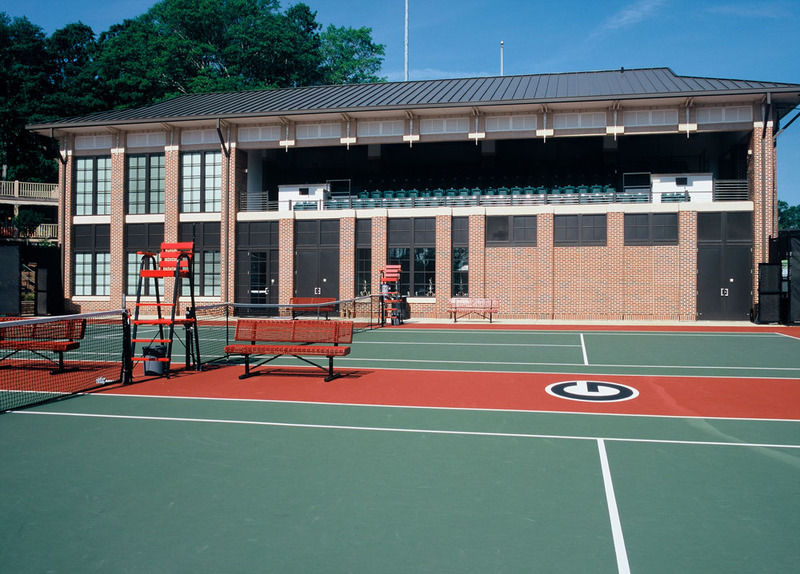 The complex has a total seating capacity for more than 5,000 fans and the project included renovations and life safety upgrades to the grandstands, press box, and the International Tennis Association’s Hall (ITA) Men’s Collegiate Tennis Hall of Fame, curated by legendary tennis coach, Dan Magill. 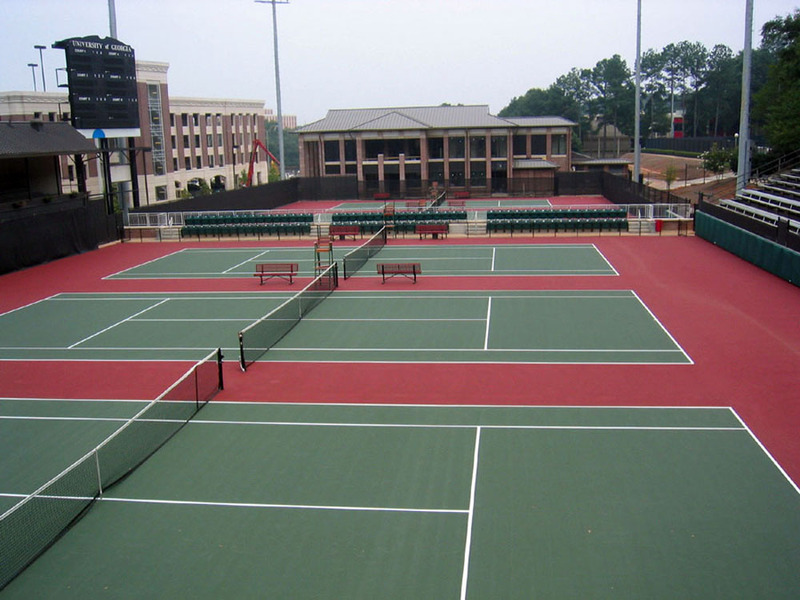 The project also included 12 new exterior tennis courts and 4 indoor courts.